Crochet With Multiple Threads Used As Yarn! 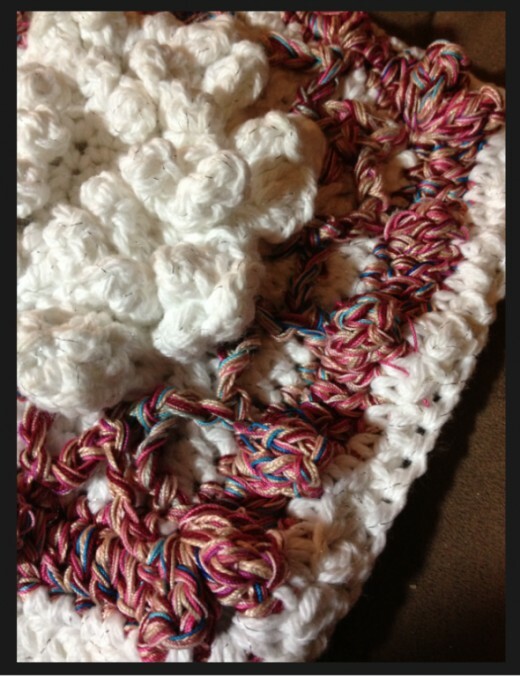 Create Beautiful Multi-Dimensional Looks With Multiple Strands Of Crochet Thread Used As Yarn! 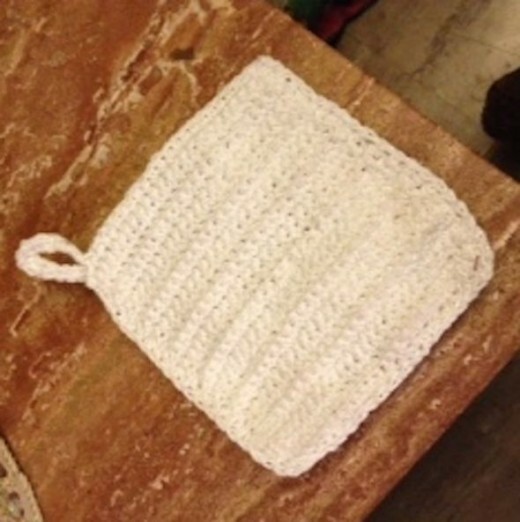 I was crocheting a potholder for an exchange recently, and I didn't have the color of yarn I wanted for an accent color. I was also laid up with a recent knee surgery and couldn't run out to my local yarn store, so I had to get creative! 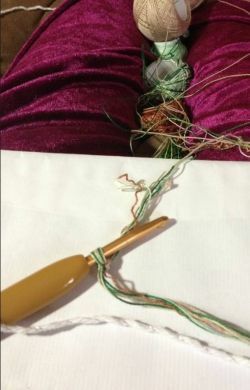 I selected several different cotton crochet threads and held them together, adding more threads until they were the same thickness as the cotton yarn I used for the potholder. I was very pleased with the result, and promised myself to explore using this technique more when I had time. If you are ever stuck in a pinch without the exact yarn color you need for a project, try this! You might just surprise yourself with some very happy results! There are three keys to success with this method; I learned the first one the hard way. 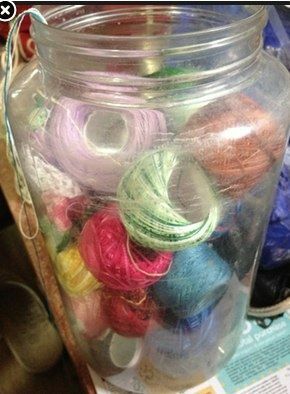 Put all of your thread balls into a container with smooth edges that won't snag the threads - like a big plastic or glass bowl or pitcher. My first attempt was a handy wicker basket I had sitting nearby. Huge mistake! I ended up cutting all the threads just as they were becoming a tangled mass snagged into the basket edges. 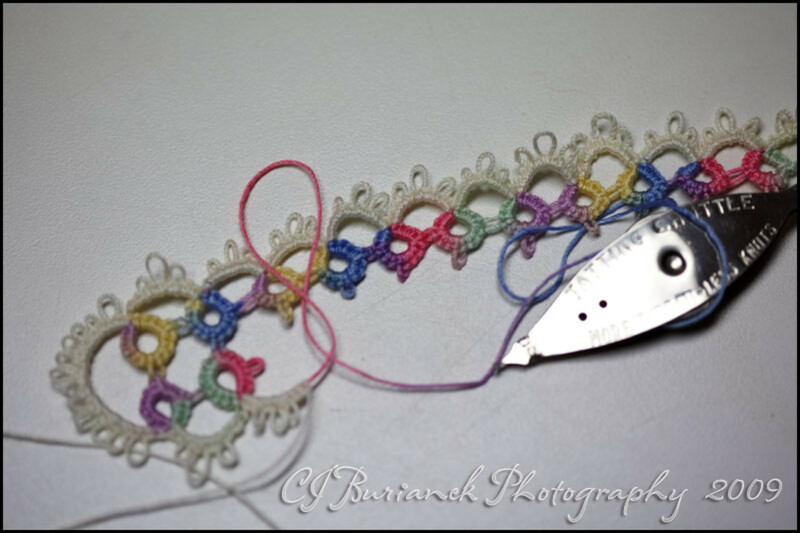 The second key to success is holding all of your threads nice and taut, smoothing them often as you crochet. The third key is to use similar types of thread so that you will produce a consistent result, and to keep your number of strands consistent as you change colors. 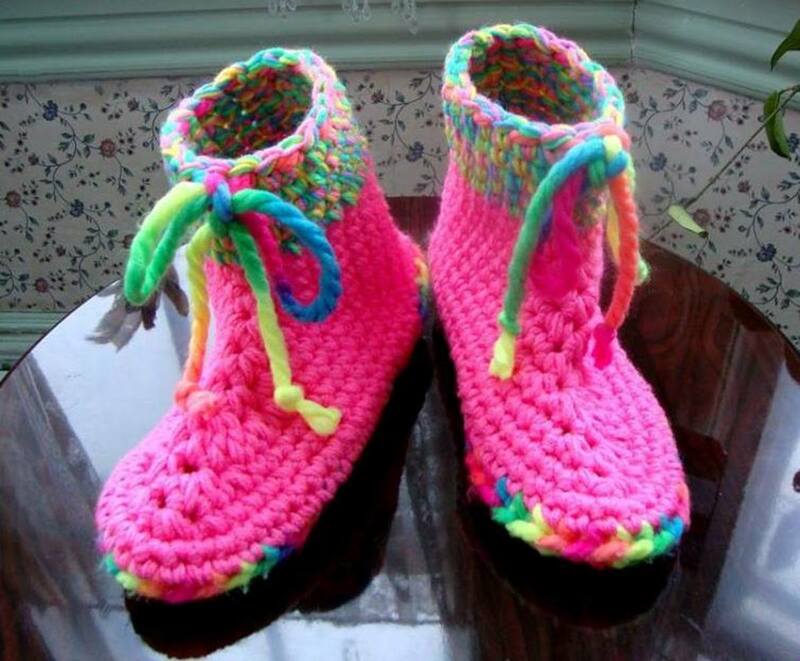 If you have a lot of scrap crochet thread odds and ends on hand, this is one fabulous way to use them up! All photos in this lens were taken by me. Check Out This Amazing Technique! Harold Ferosa creates beautiful shaded effects by using multiple strands of sewing threads in doilies! 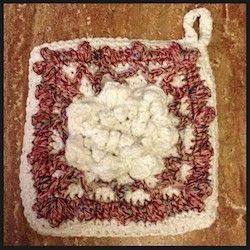 First, if you are making a cotton potholder like this, your yarn is cotton - therefore your crochet threads should all be 100% cotton. That being said, start grabbing some threads in colors that please you and stack them together in your hand or on a flat surface to see how they look. Remove and replace a thread color here and there to see how it affects the whole look. It's as simple as that! Once you are pretty sure you have your colors nailed down, lay a piece of your cotton yarn next to your combined thread strand. They should be very close to the same thickness so that it won't throw your pattern off. Make any necessary adjustments. 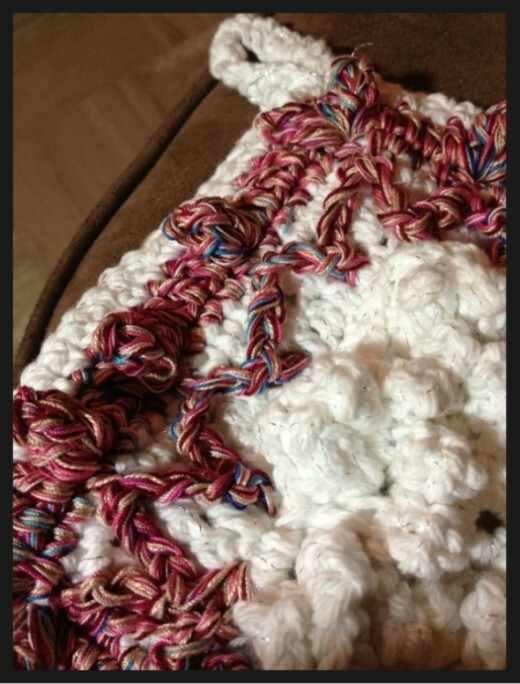 Now tie all your strands in a knot, attach them, and crochet a few stitches. If you like the look, go for it! If not, take it back out and adjust as needed. What Do You Think Of This Technique? - Come On, You Can Tell Me! I'm trying it as we speak! Another Example Of Multiple Threads! - This Time Using Sewing Thread! In designing my Picket Fence Potholder, I was using my new technique I call "CroBroidery" to make tulips decorating the potholder. I wanted particular colors of thread for some of the tulips that I didn't have, so I took a box of assorted sewing threads and started arranging colors in different combinations. 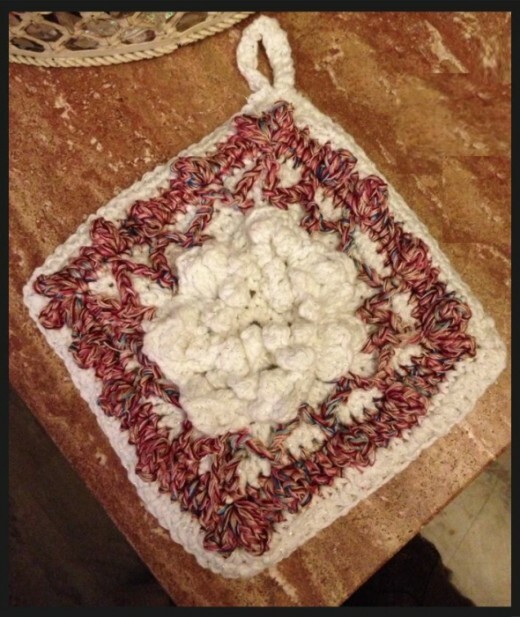 When I came up with one I liked, I'd crochet my flower. It was so much fun! 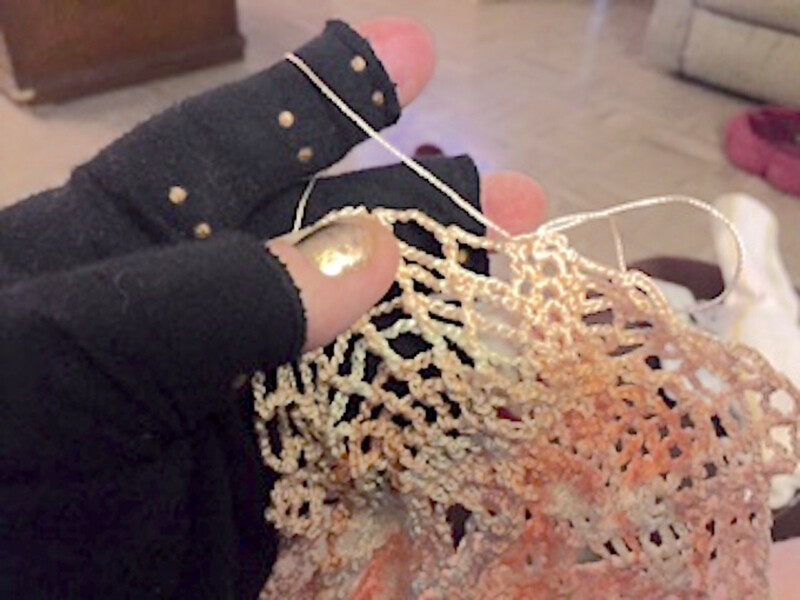 In general, it took five strands of sewing thread to equal one strand of size 8 Perle Cotton. It was very easy to work with the five strands, no problem at all. I'll be doing it again... and again! 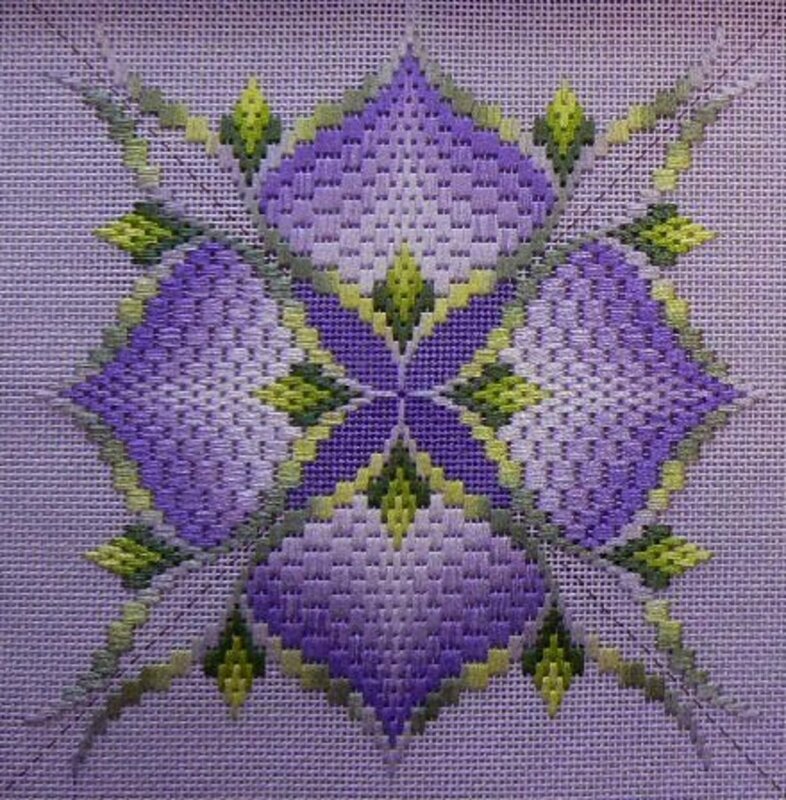 From left to right, flowers 2-6 are done in combined sewing threads. The other flowers are size 8 perle cotton. Great Crochet Accessories From Amazon - My Hand Picks! Learn Crochet On YouTube - Right Or Left Handed! Hi, I'm SheilaSchnauzies, also published as SheilaSparkles, and my life's passion is designing in Crochet! 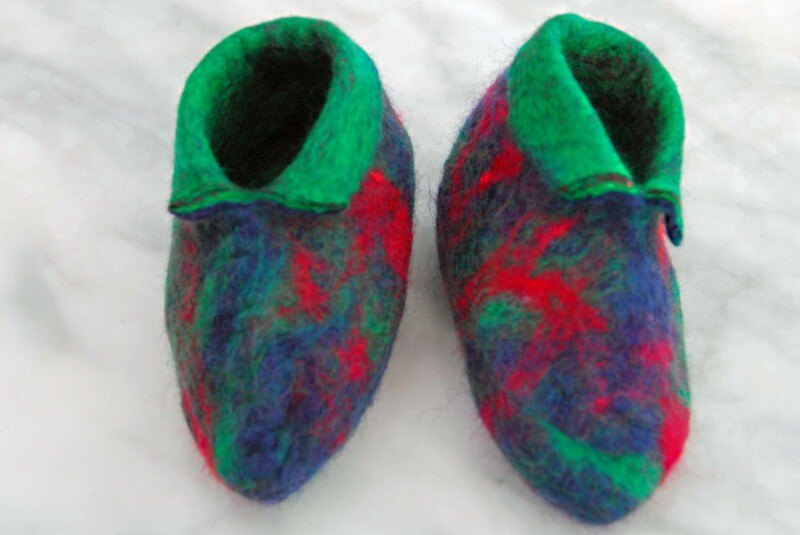 I also love to share gifts with friends, and this pattern is my gift to you! 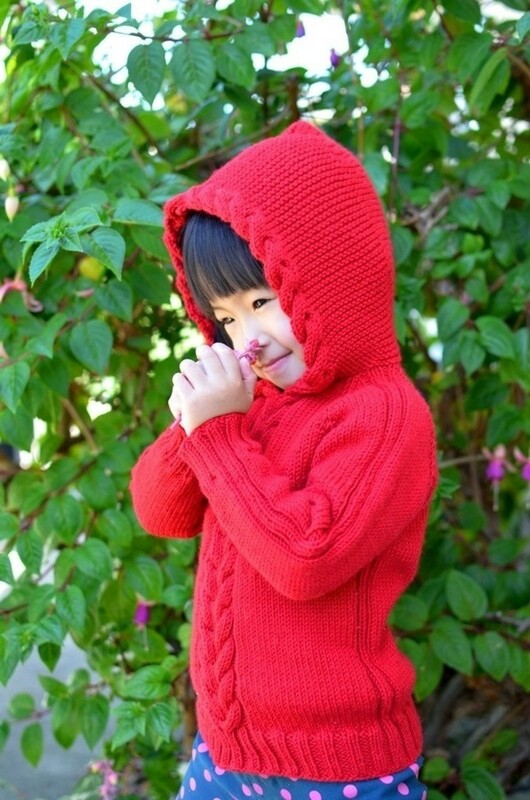 I give away about 95% of my pattern designs free. The other 5% are sold on my pattern store at Craftsy.com to benefit the vet expenses of my Miniature Schnauzer Rescue, Sheila's Schnauzies. Just one little favor, please... I would appreciate it if you do not post this pattern anywhere on the Internet or in the 'real world.' Instead, you are most welcome to provide a link to this webpage. I use a system I call the "Official Schnauzer Difficulty Rating" just for fun, to rate the difficulty of my patterns. If it's a 3/5 or more, I'll explain why I consider it more difficult. A few of my designs use techniques that are a bit unconventional! If it's one of those patterns, I'll warn you ahead of time. I do a lot of custom-fit patterns, for example. They are made to fit YOU, not a measurement from a chart. They're surprisingly easy to do and actually end up fitting. That's a good thing, yes? 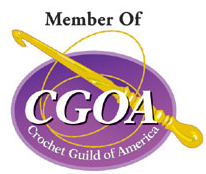 Honored To Be An Associate Professional Member of Crochet Guild of America! Great idea! I just might give it a try!